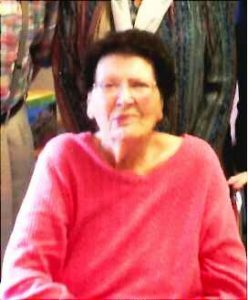 Gladys R. Sedlak, 90 of Omaha, died Wednesday, November 16, 2016 in Omaha. Gladys was born September 23, 1926 at Dwight, Nebraska to Adolph and Lillian (Tager) Cidlik. She attended country school near Loma where she walked to school. On June 3, 1945, Gladys was united in marriage to Ernest F. Sedlak at Dwight. She lived in the Dwight and Loma area and lived in Omaha since 1949. Gladys was a former member of St. Patrick’s Catholic Church in Omaha. She is survived by Sons: Ron (Donna) Sedlak of Ulysses, Randall Sedlak of Omaha, Daughters: Diane (Robert) Walters of Omaha, Judy Sedlak of Pacific Junction, Iowa, Brenda Sedlak of LaVista.